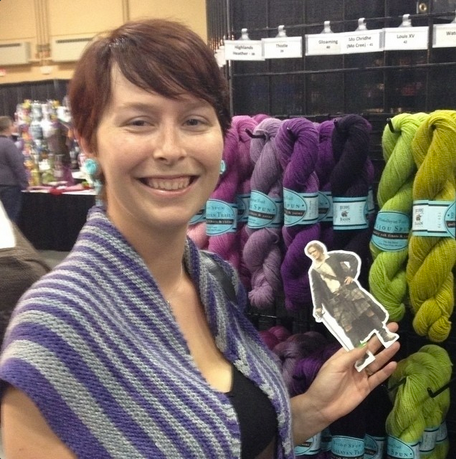 We had a fantastic time at Stitches Midwest and the Michigan Fiber Festival - and so did Pocket Jamie! We were thrilled to be visited by the hero of the Outlander series which just debuted on Starz (which also happens to be the inspiration behind our Outlandish colorways). Rest assured, Pocket Jamie will be accompanying us to more events this fall, and we hope you'll share your own photos of Pocket Jamie with your Outlandish WIPs & FOs on the social media channel of your choice (you can connect with us via the links on the right)! at Stitches Midwest courtesy of @freckledcrafts! 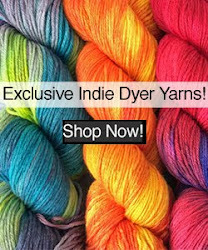 By popular demand, we have made our Outlander-inspired patterns available for individual download in our Ravelry and Craftsy pattern stores; you also can purchase discounted project kits through our online store. Below you'll find the links for purchasing patterns and kits for each of our popular new designs....now THAT's Pocket Jamie Approved! 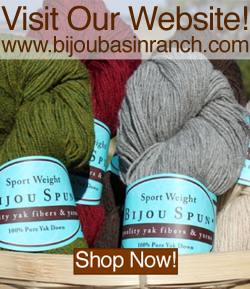 Click here to purchase discounted project kit at bijoubasinranch.com!